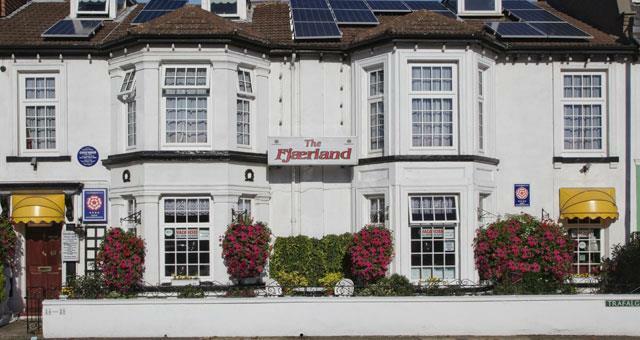 The Fjaerland01493 856339work Group AccommodationThe Fjaerland, Great Yarmouth, is pleased to welcome staying groups and provides a range of group friendly rates to enhance your break. All 12 bedrooms are en suite, most of which have sea views. Flatscreen TV's with Freeview, hospitality tray, hairdryer, radio clock alarm and free WiFi access. All bedrooms and bathrooms have been recently refurbished to the highest standards. We have a fully licensed bar, a separate small TV lounge, and a large dining room with separate tables. The property is tastefully decorated throughout with water features in the spacious dining room and hall. 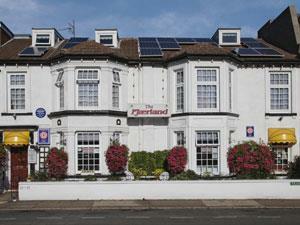 The Fjaerland, Great Yarmouth, is pleased to welcome staying groups and provides a range of group friendly rates to enhance your break. Group rates may be available please contact directly for further details.